Signature chief executive, Jim Edwards, is meeting today with Ed Vaizey the Minister for Culture and Communications to discuss the next steps for Video Relay Service (VRS). There has been a flurry of recent developments with the VRS agenda and we see the meeting as an opportunity to drive forward the next steps for change. UKCoD have completed an impact assessment on the costs and future demand for VRS. In recent times we have seen the private sector leading the way by introducing VRS to improve their customer service for Deaf people. Leading businesses like Sky, Lloyds Banking Group, Halifax, Bank of Scotland and BT havel introduced VRS to improve their customer service. Moreover, the completion of UKCoD’s impact assessment marks an important watershed in the development of VRS. The assessment found that 76 per cent of Deaf people would use a funded Video Relay Service. 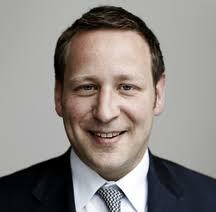 Ed Vaizey is a long standing supporter and we hope that he will lead on the introduction of VRS across government.